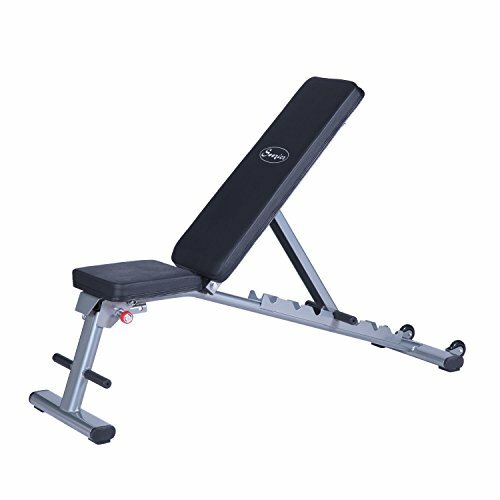 Build strength and muscle mass with a simple yet effective workout routine using the Soozier Seven-Position Adjustable Foldable Weight Bench. Choose from seven positions and dozens of exercises to challenge your entire core and upper body. Soft yet firm cushions give optimal support while floor protectors safeguard your workout area and prevent skidding. Wheels make it easy to move when not in use and it's foldable to save space. Get a complete muscle-building workout and transform any space into a personal free weight fitness center with Soozier.